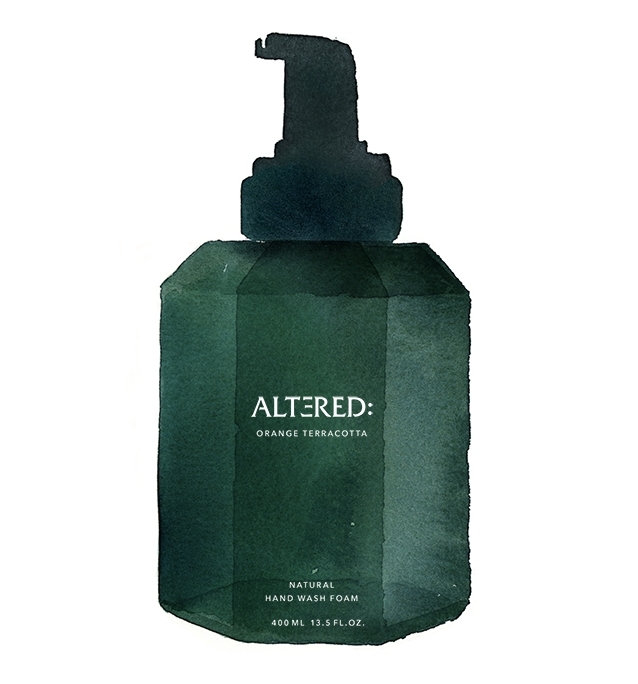 A natural foam hand wash that gently cleanses and hydrates your skin. All natural ingredients. Bio-degradabl. With calming and antimicrobacterial juniper berry extract. 0% parabens, silicones, mineral oils, nano ingredients or palm oil. 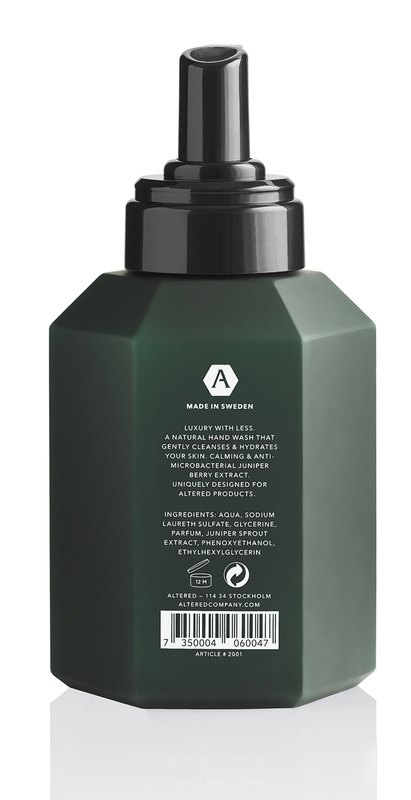 In short, the best quality hand wash we could manufacture. Produced to work in perfect balance with Altered water saving technologies. Easy to rinse off and lasts longer. Great for both you and the environment. A fragrance of Scandinavian misty meadows during early summer. Damp grass and soil that warms up at day break to unleash all it's sent in to the fresh light air. Combining it to a mix of earthiness and floral bloom as nature wakes up. 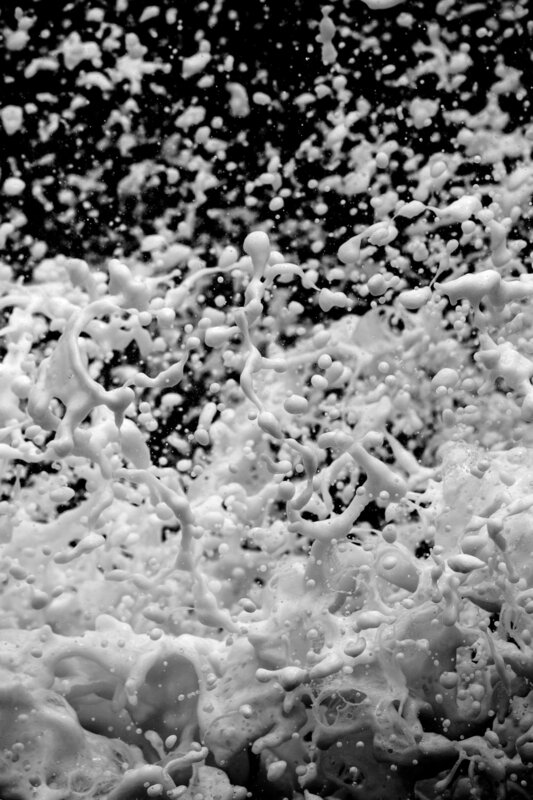 Our foam creates a soft fluffy and rich feeling in your palm on application. Rinsing is easy and leaves a very soft and moisturized touch afterwards. Foaming the soap means a lot less soap is used. Only using what you need. This means your soap will last longer and leave less of waste. We have strived to produce the best soap we can with as few ingredients as possible. All natural. 0% parabens, 0%silicones, 0%mineral oils, 0%nano ingredients, 0% palm oil. Juniper Sprout Extract, Phenoxyethanol, Ethylhexylglyserin.